Anyway, Sean hates The Bitt. What Sean has to say about The Bitt is, "He's just annoying and he seems like a hack. I don't understand why anybody cares what he has to say. I do not trust his authority. I feel like anyone could be Mark Bittman, he just happens to be the one, probably because he knows somebody or various other social injustices." So yes, The Bitt's Cranberry Negroni is pretty wondrous and awesome in its simplicity (erm, minimalism) and I highly recommend it as a way to get rid of your cranberry sauce reserves. Using sauce instead of juice adds a little gritty texture to the cocktail that I found I quite liked until the very end of the drink, when it got to be a bit too much. Also, The Bitt says to mix equal parts cranberry sauce, gin, Campari and sweet vermouth, but when I did this I found that you really couldn't taste the cranberry, so I amped that up. Combine all ingredients in an ice-filled cocktail shaker. 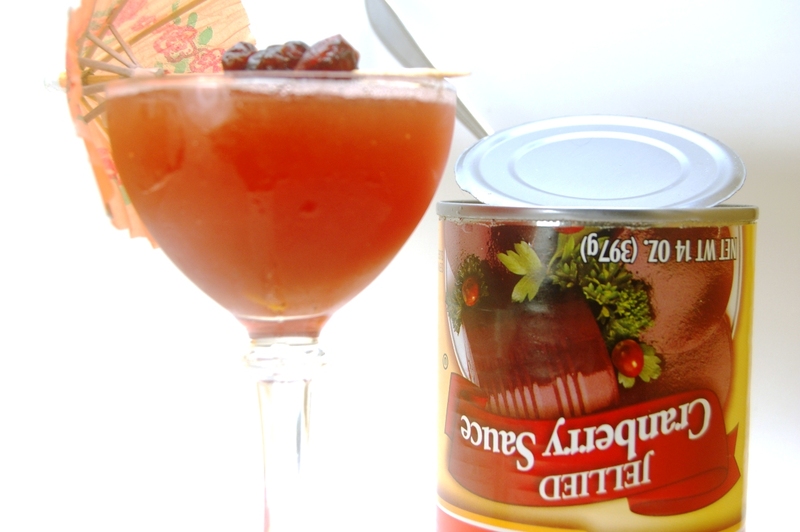 Shake vigorously to allow the cranberry sauce to mix well. Strain into a chilled cocktail glass. 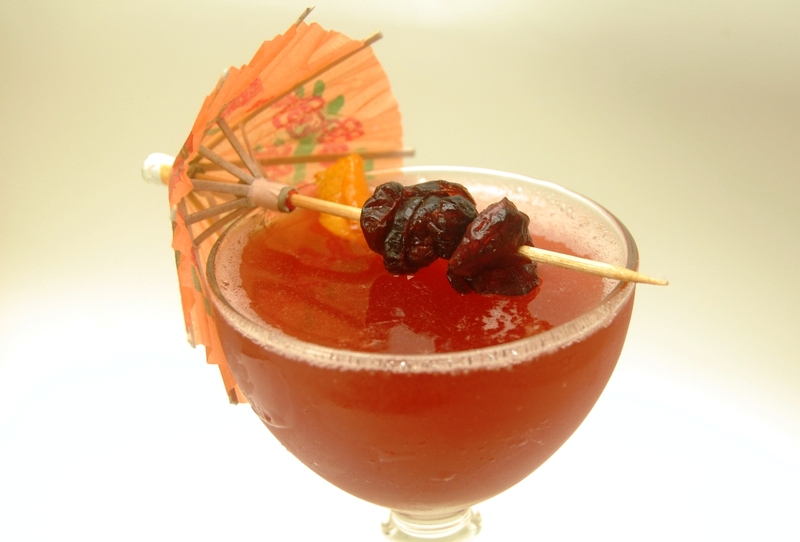 Garnish with an orange peel, and/or several dried cranberries speared onto a toothpick umbrella. I have to try this with my World's Greatest Cosmopolitan.